Do you ever feel like perfectionism is holding you back? 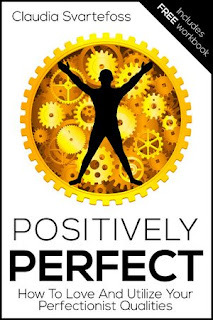 This book shows you how to turn your perfectionist qualities into assets to create and enjoy a life you love. Stop procrastinating! Start being an awesome perfectionist now! Bestselling author Claudia Svartefoss is a happy, accomplished perfectionist. Even though perfectionism is considered an undesirable flaw, Claudia has found a way to turn her it into an asset. She runs her own business, writes self-development books and coaches her clients toward their success and achieving their goals. Her passion is sharing her knowledge and experience with others and inspiring improvement, self-love, and love for this amazing environment we all live in. She aims to assist her readers in developing an abundance and well-being based mindset in order to achieve their goals while enjoying themselves and their journey.